Following the Star (Angel) - BFL 178 - BLIND FAITH LIVE!BLIND FAITH LIVE ! Real People. Real Miracles. occasions references the Angels as stars. 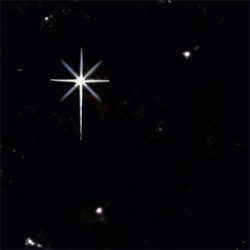 [Link] Plus, when you see what the star has to do to find its way to the new Christ child, an Angel is the only answer. Angels surround us in this episode. Actually, we would not exist without a third of the Angels taking a fall. The ruler of this world is a fallen angel. Of course, Mary and Joseph certainly had their encounters with angels. We, too, may need to remind ourselves that we have Angels around us… And, helping us with more than locating parking spaces. Miracle Moment – an upcoming local television news story will highlight the miracles surrounding Dr. Issam Nemeh. Two teenage sisters were severely injured in an automobile accident. Both were in a coma. One of the girls was brain-dead. This is the story of what happened in the hospital room as Kathy Nemeh, with Dr. Nemeh connected via cell phone, prayed. Things happened. Amazing things happened. Kaitlynn, featured in episode 177, continues to improve. SMA, the genetic digestive disorder is being reversed. The local NBC affiliate, who covered her plight, is coming back for this amazing part 2 to her story. This entry was posted in Dr. Issam Nemeh, Episodes, Kathy Nemeh, Philip Keller, Trapper Jack and tagged Brain, Digestive System, Fallen Angels, Good Angels, Nerves, Nervous System by Philip Keller. Bookmark the permalink. This story of the two girls in that accident is just amazing! Kathy Nemeh, you are a precious Angel, always marching forward for the hope of the world. This connection of God’s healing and your obedience, along with Dr Nemeh and all the others who make this possible time and time again, brings Heaven to earth. Your words make such a difference for the good of others, to send a blessing, always. I hope to see this on the news. Thank you for this wonderful wonderful miracle! These podcasts create energy within, I have to listen. You are so funny Philip! Love those podcasts. Wow. What more can I say? God loves you and so do I.
I truely believe Dr. Nemeh saved my life! I try to send as many people to him as possible!